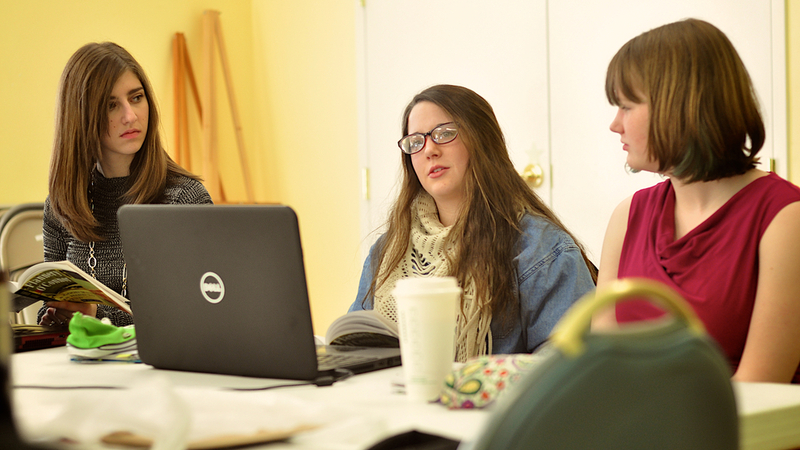 Though an “elective” course, Creative Writing assumes an all-encompassing curriculum. We learn about reading, WRITING, ourselves as writers, and (here’s the “all-encompassing” part) the greater human experience. To be an artist of any kind assumes a certain proximity and affiliation with humanity as a whole as well as with particular men and women. Writing strong fiction requires that we capture our experiences of life, beauty, disappointment, temporality, redemption, etc., in ways that stand for what all people experience. As we tap into our impressions of an exhilarating and troubling world, we will become better writers of character, plot, conflict, setting, resolution, and hopefully, redemption. The purpose of this course is to go deeper into our human experience, and by doing so, to become stronger fiction writers. Have you ever wondered what makes great fiction work? Writing teachers often follow Henry James in saying that the success of a story or novel is (are you ready?) in whether it succeeds. “Does it work?” they ask. Many students are left feeling perplexed. What works? What is success in fiction writing? This course will seek to answer some of these questions. Creative Writing gives students a broad view of how to write short stories and begins to explore longer projects. Students “try on” all sorts of narrative perspectives. They create honorable characters, and some who are rather malicious. They try morality fables, along with ethically open-ended narratives. They develop various narrative voices, experimenting with levels of narrative “objectivity.” Students kill off their characters and bring them back to life. Characters will fall, and characters will find redemption. Description, dialogue, pace, setting, diction, syntax, voice, rising action, climax, denouement, conclusion, meaning, purpose, message, and audience will all become our tools for making stories work. This course is an elective, and as such, will not have the same requirements of a standard Westrate English course (about half the work load). Throughout the year, students read key examples of fine fiction and work on shorter creative pieces. Many of the writing assignments will be one-page pieces to be “workshopped” together, though students will also produce a number of complete stories. During the fourth quarter, students work on a long fiction project, incorporating all they’ve learned throughout the year. The instructor works to create a safe community of writers who are unafraid to experiment, share their work, and be critiqued. Most important, this course will be lots of fun! Writers in this creative writing tutorial need to see their labor for the good of their peers’ writing as one of their main assignments and responsibilities for this course. Workshopping is a team effort, and everyone’s participation is necessary to realize our goals. All writers must complete all assignments and bring them in as drafts on the workshopping days. This means making 12 copies of the pieces students are working on, thus making student work available to all. Students must all develop a “workshop” persona. They must learn to open themselves to criticism, to avoid defensiveness, and to appreciate the critical suggestions of their peers. The way to improve is to hear useful constructive criticism, so this is a mandatory part of this tutorial’s community environment. Likewise, students must learn to make honest constructive comments. Learning to criticize with grace is an important part of human life. This is especially true for writers who hope to improve and to offer their expertise towards the improvement of others. This said, student writers need not take every piece of advice offered in the workshop. This is where your “gut level” assessment comes in. Sometimes your gut tells you not to make some of the changes most vigorously advocated by peers—and a lot of times your gut is right. When you’re sure, stick to your guns. Finally, mutual improvement means that our little writers’ community needs to become and remain a very encouraging place. Saying hard things about how and why some stories fail should never eclipse our commitment to one another: to encourage fellow writers and to open doors rather than shut them. Writing is a wonderful and worthy avocation and should never be stifled or made odious through abusive or distasteful criticism.